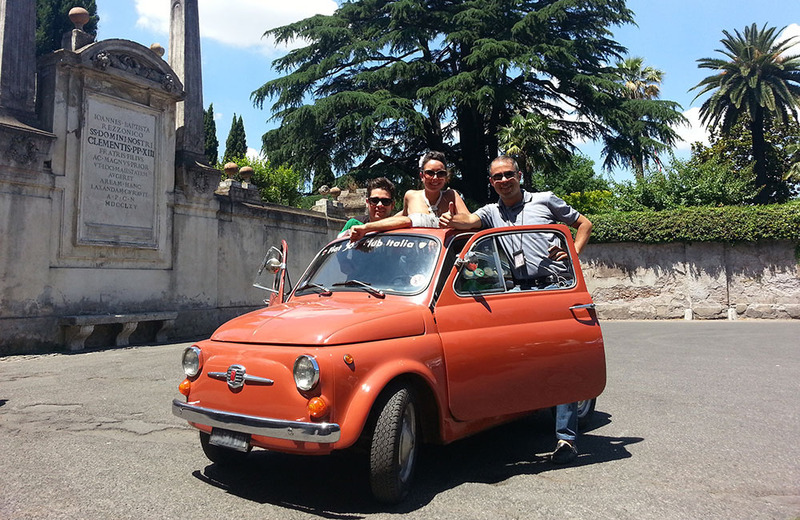 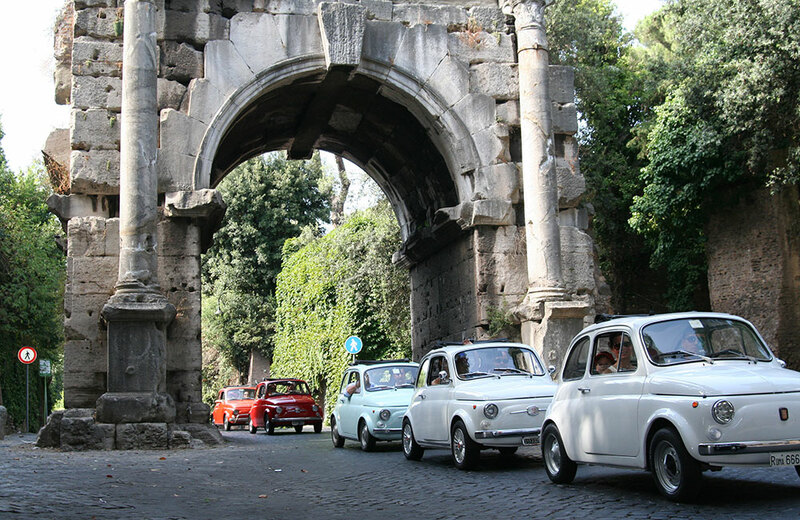 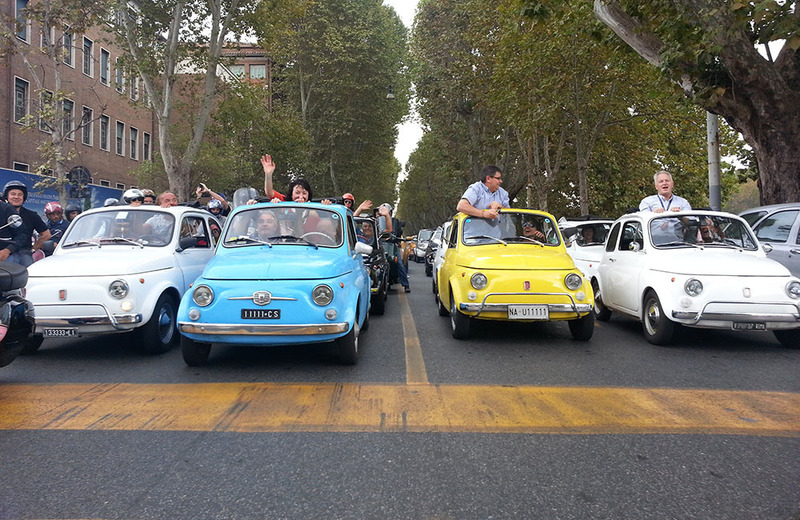 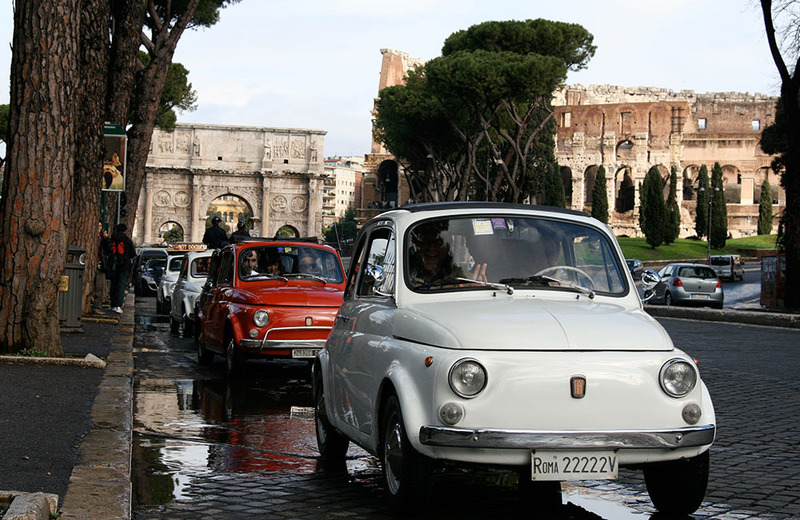 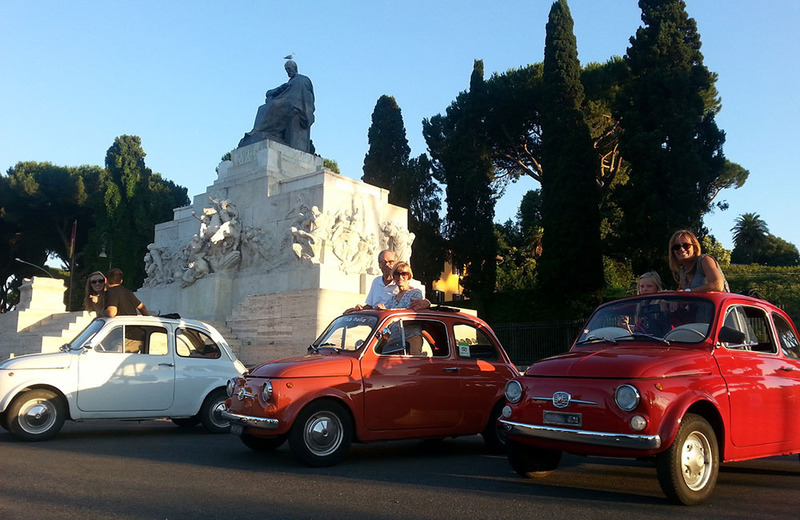 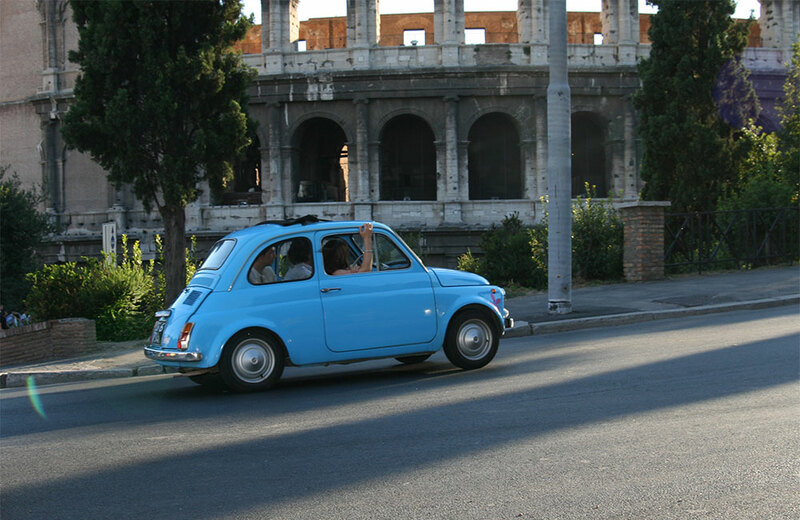 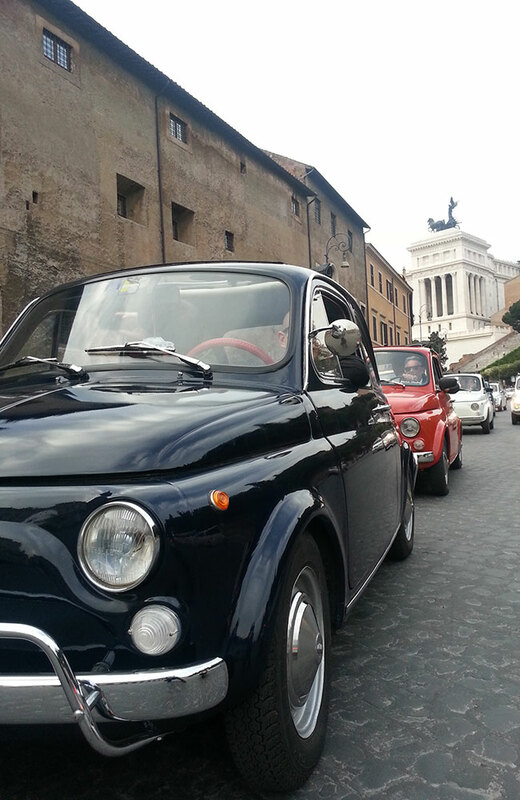 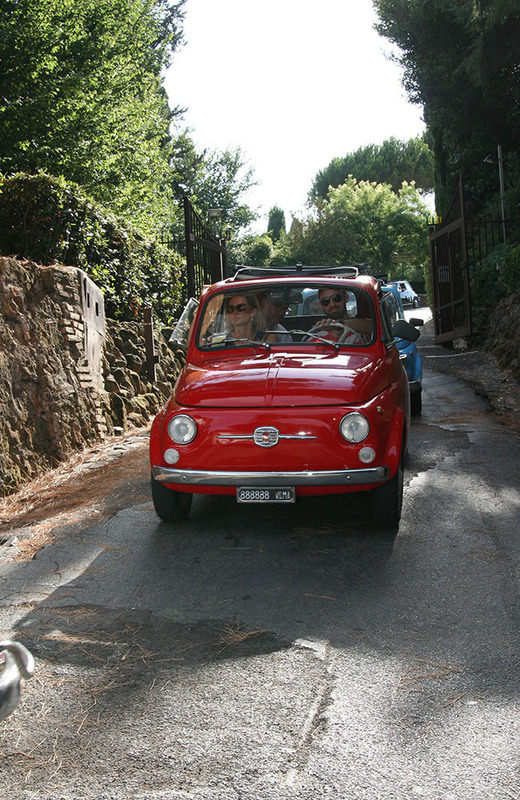 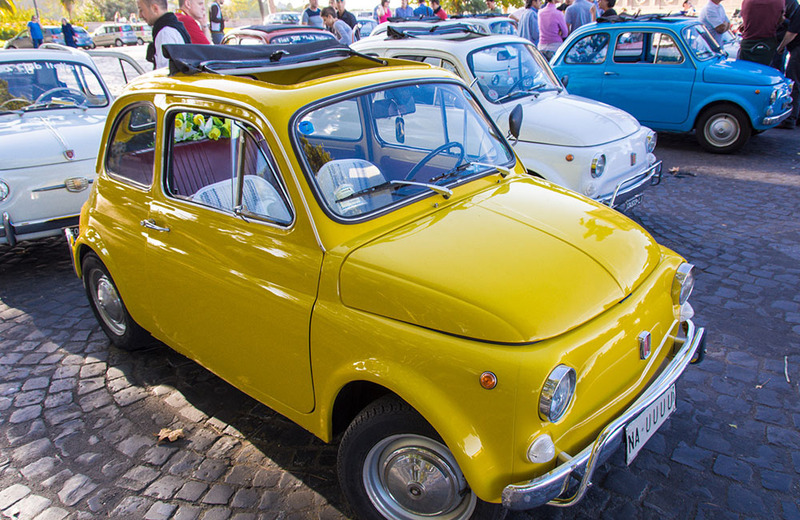 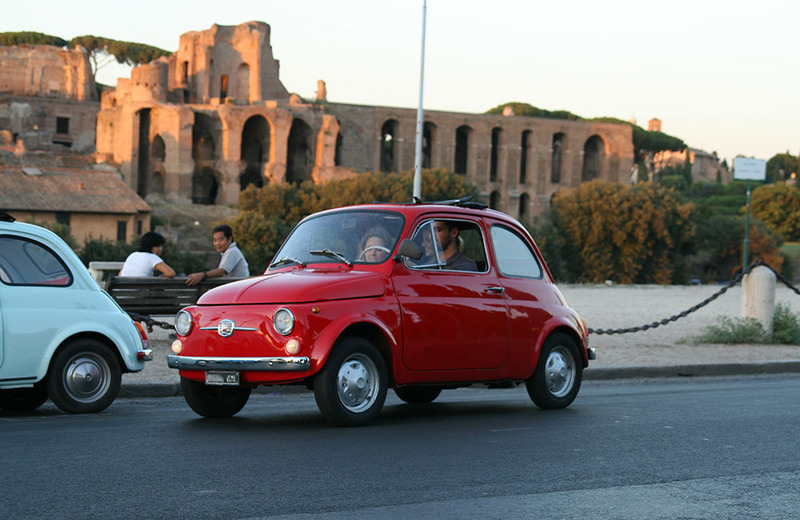 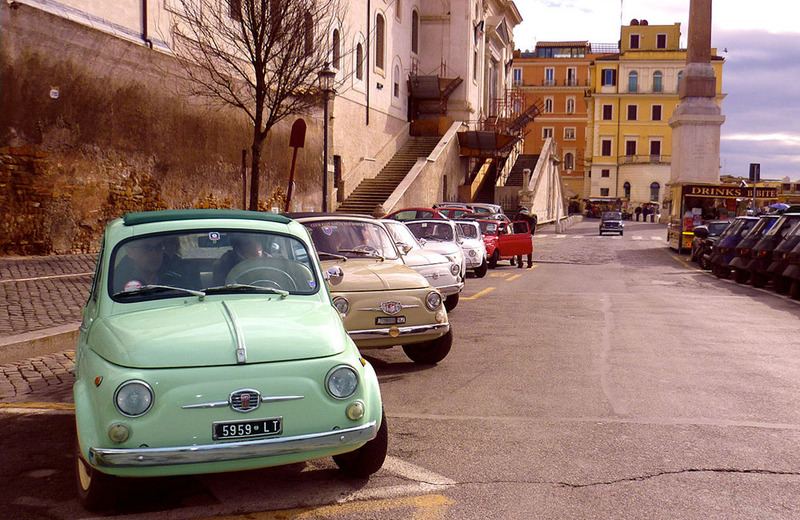 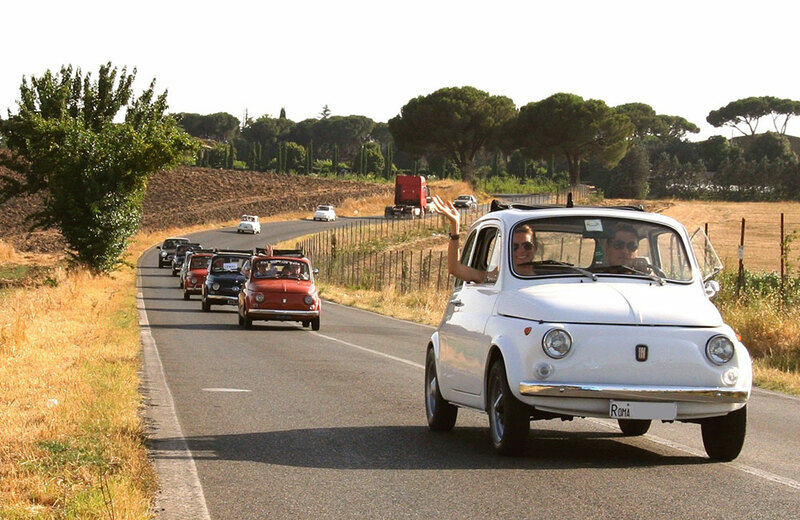 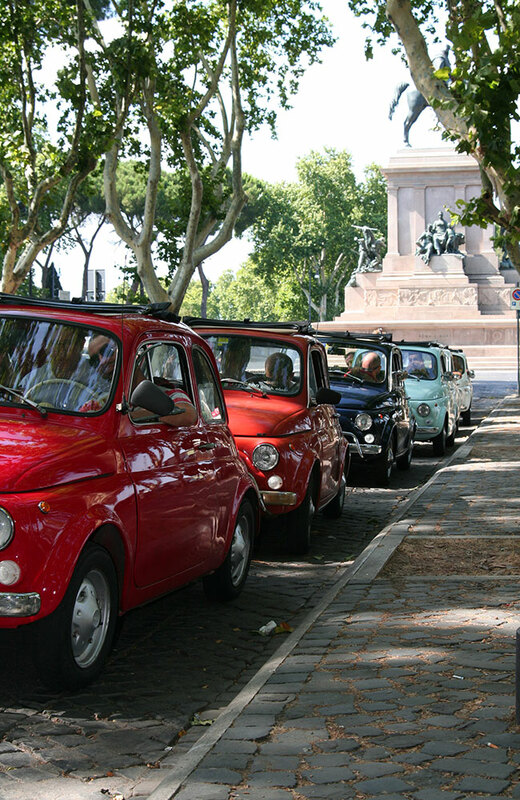 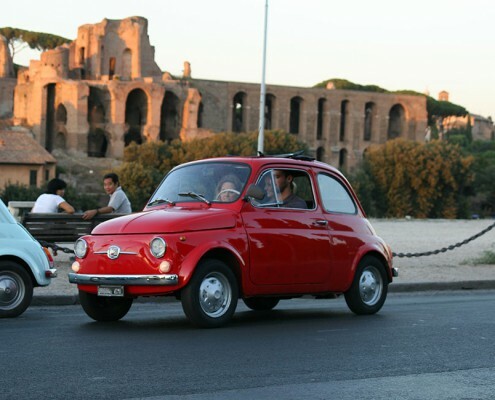 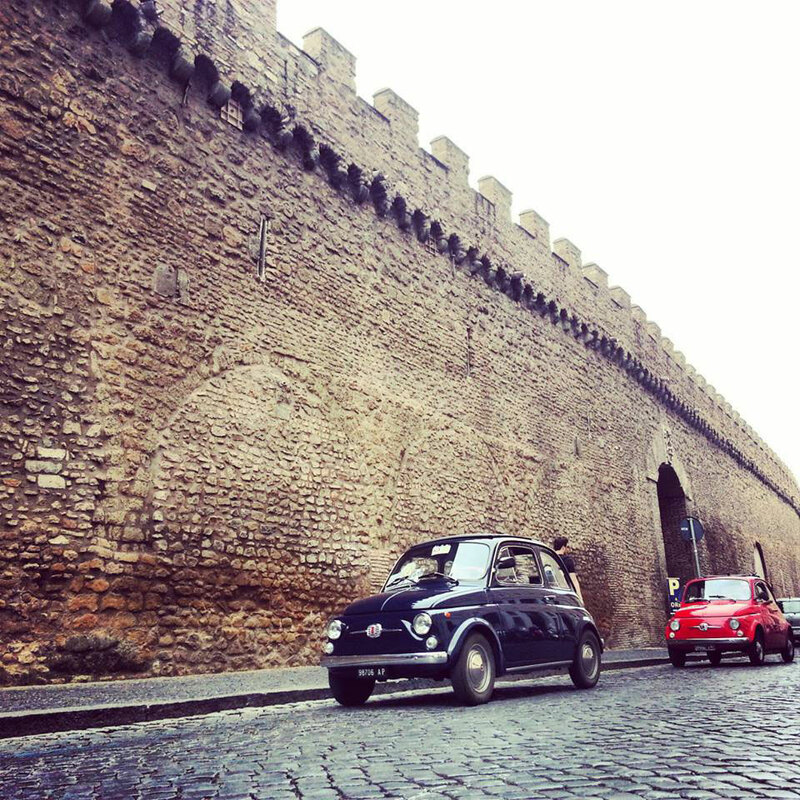 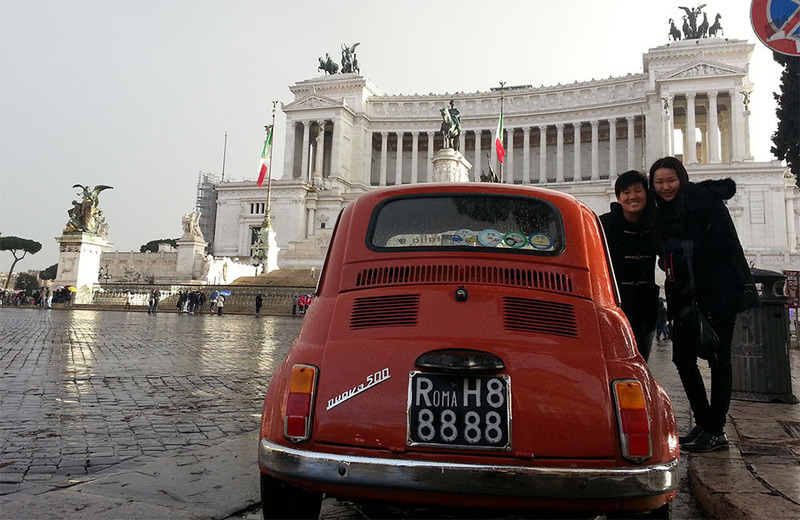 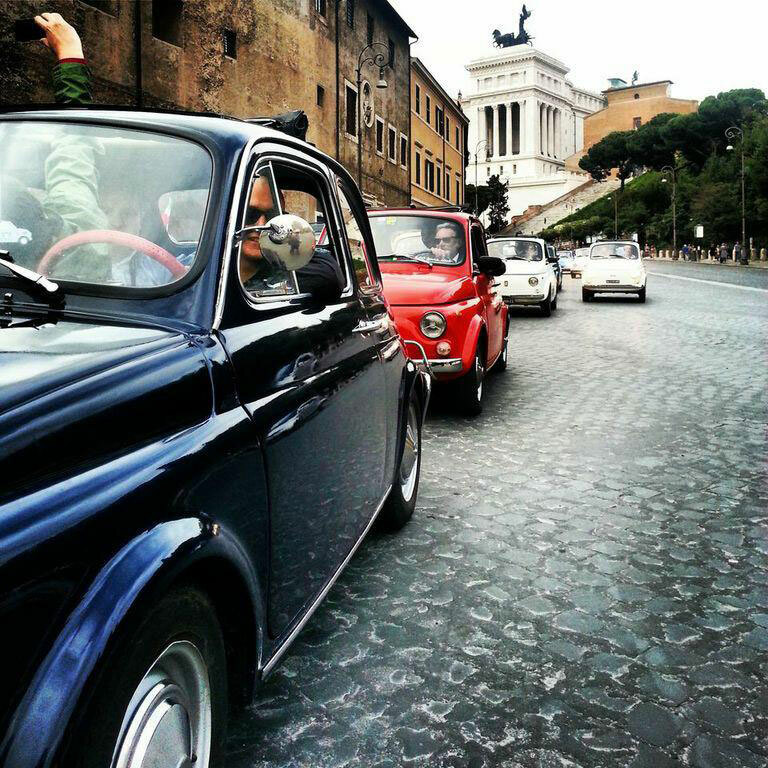 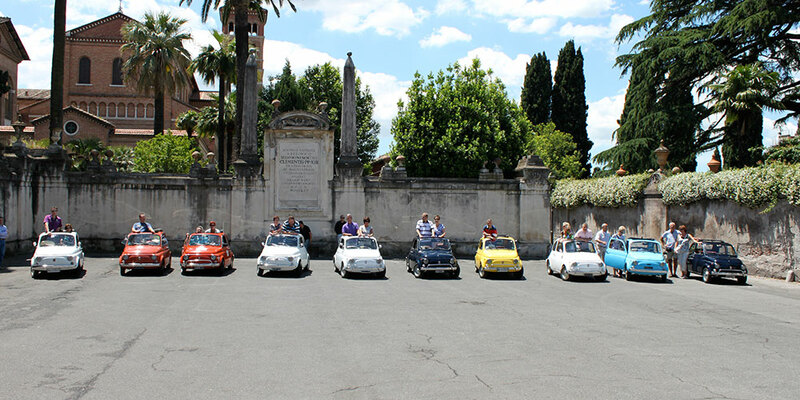 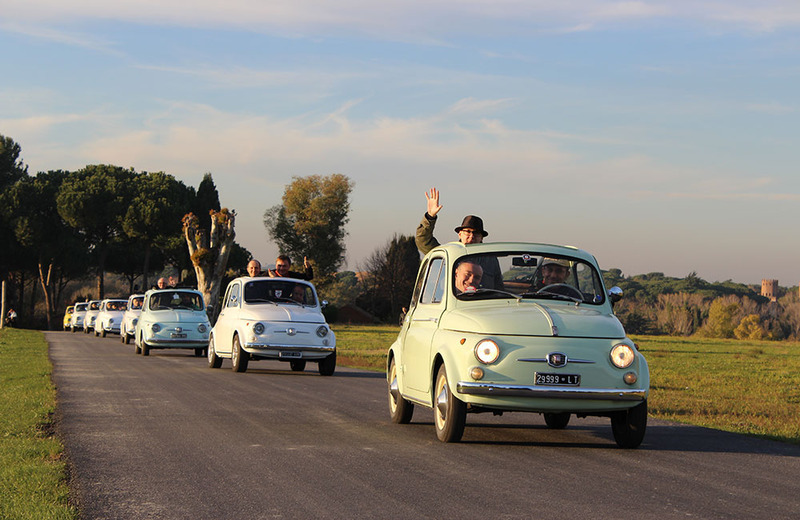 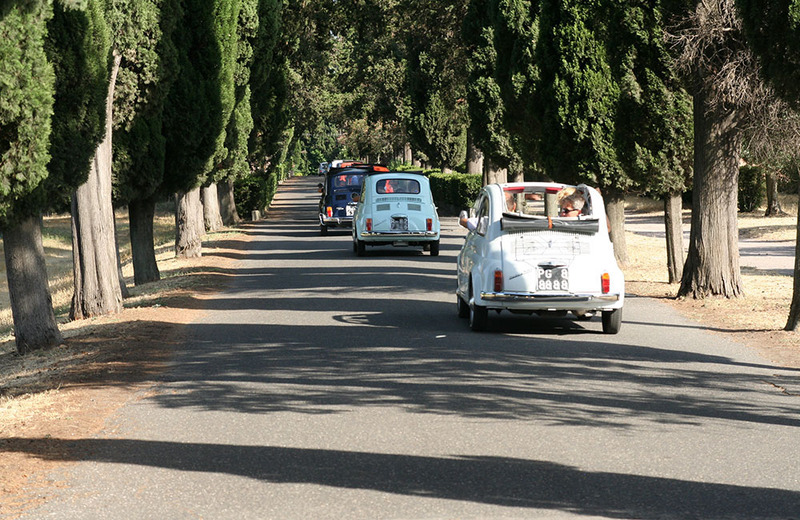 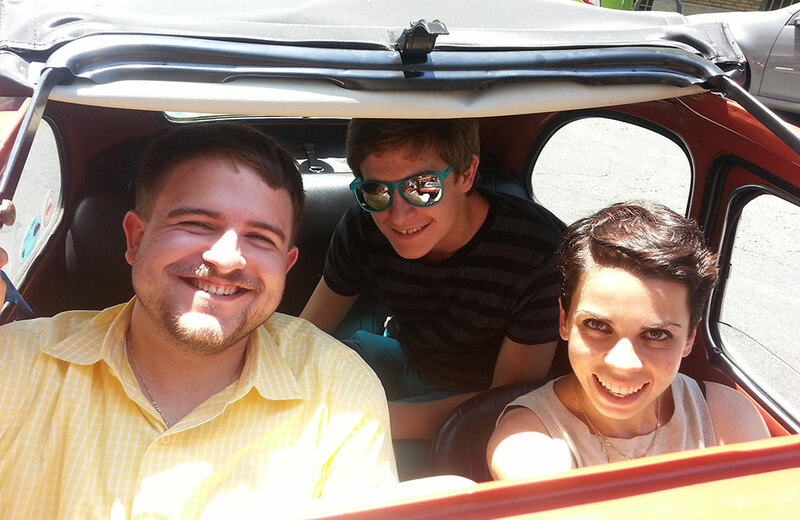 Looking for the funniest and coolest Fiat 500 guided tour of Rome? 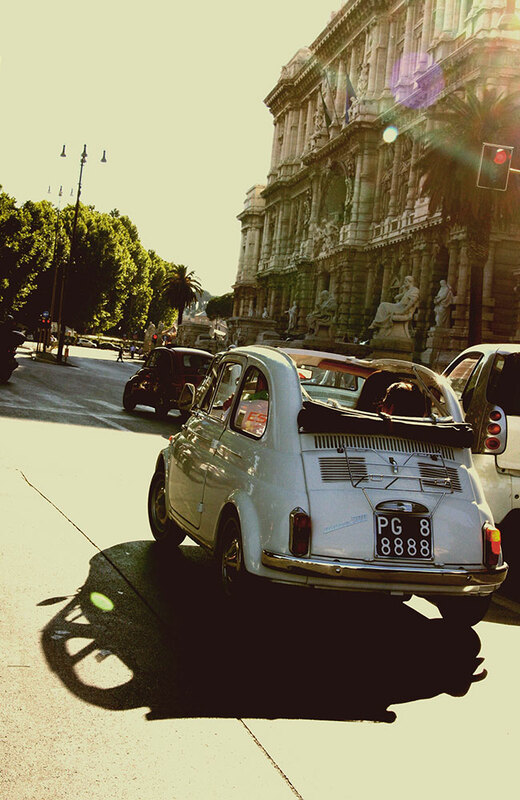 Ready to be the city attraction? 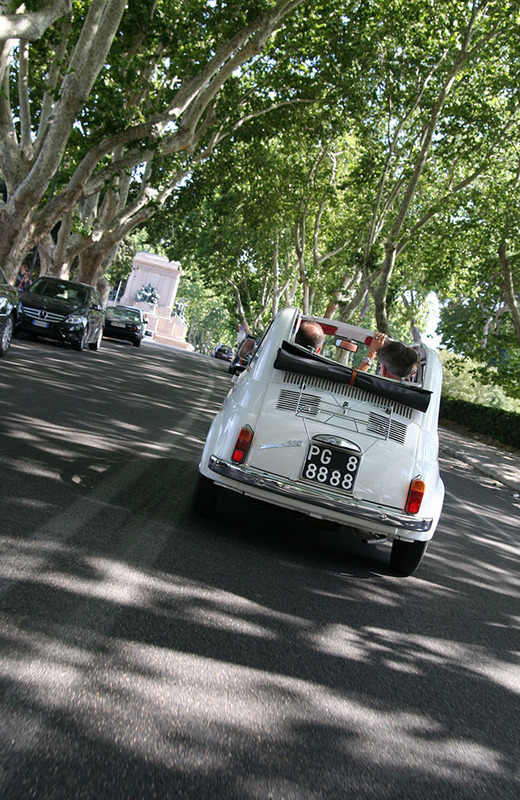 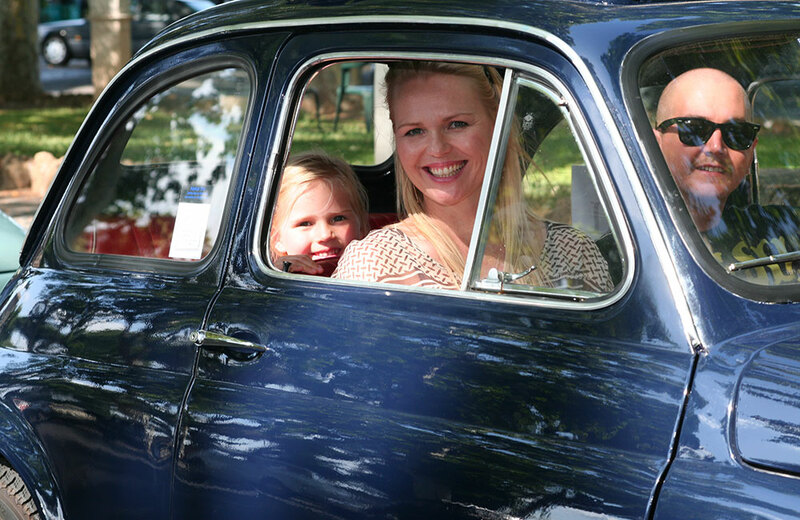 A trip inside our shining vintage Cars is the unforgettable experience. 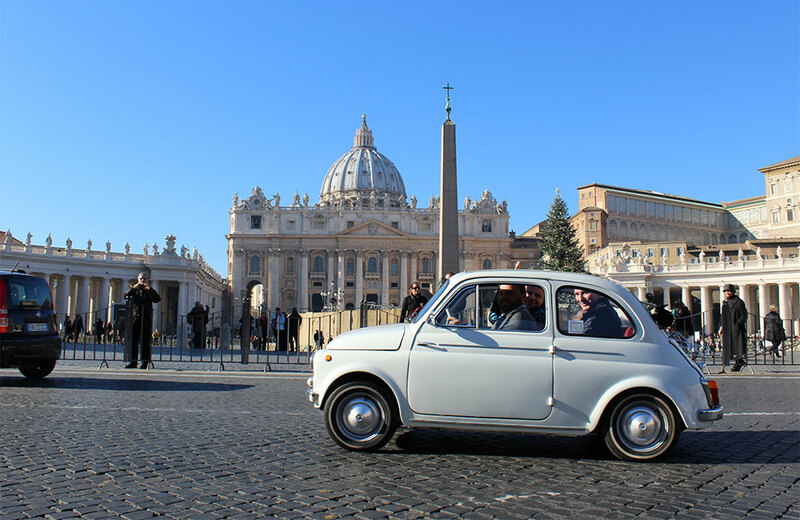 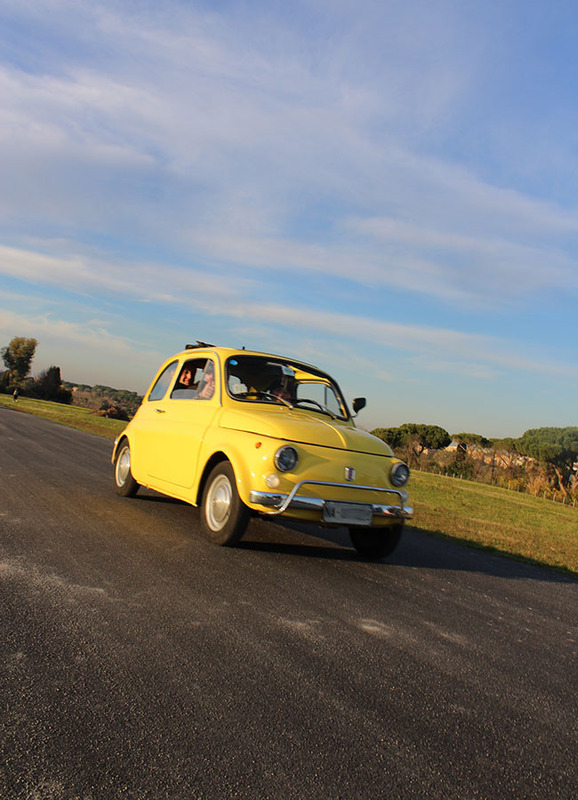 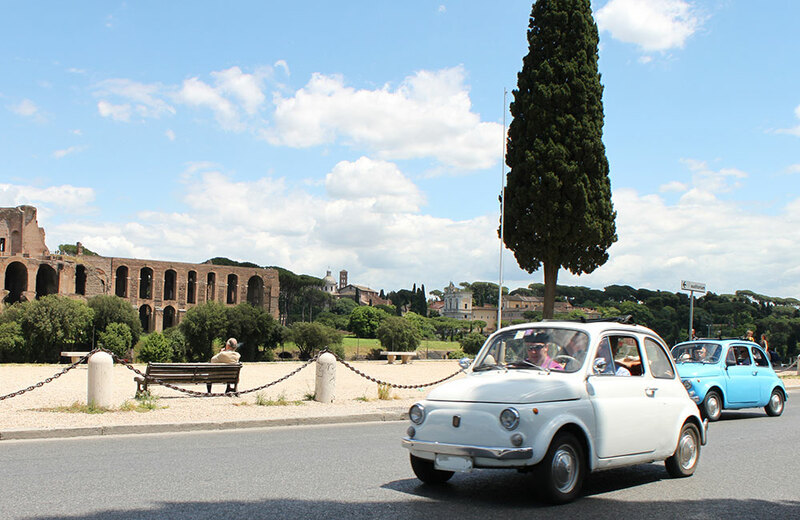 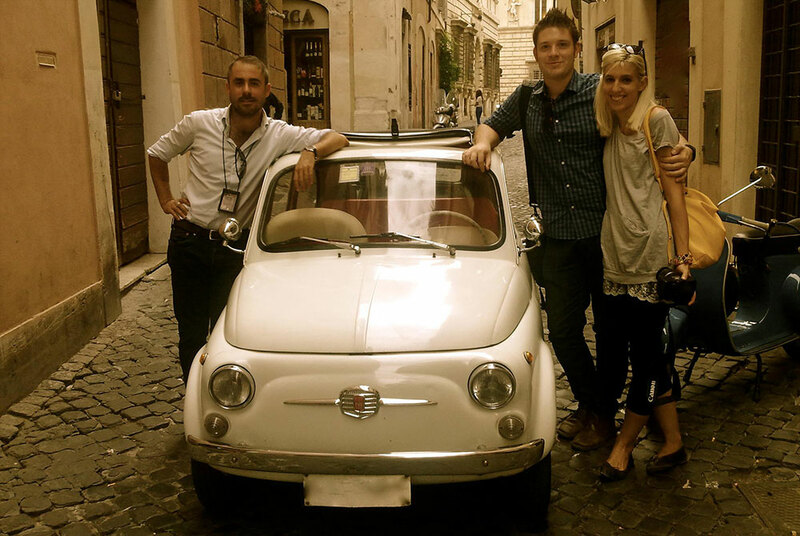 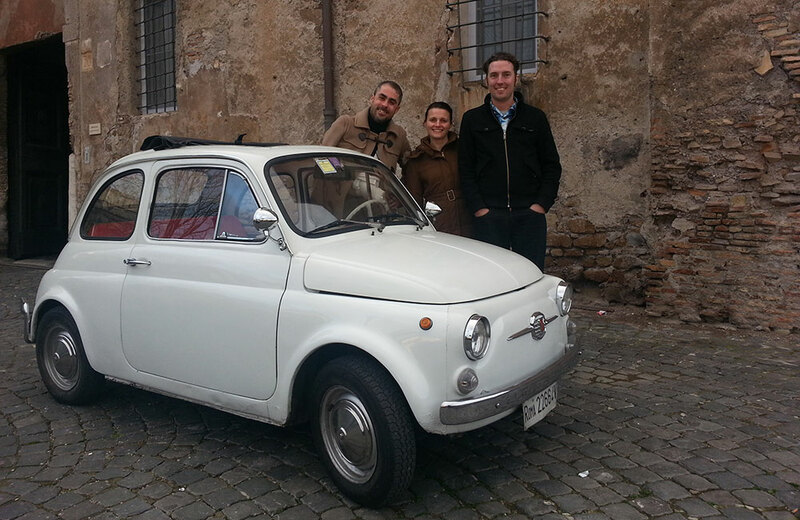 Our expert Fiat5000 Guide crew is daily looking for ride with the nicest clients ever, Go racing with the Ferrari, stop and talk about romans and popes, zipping around squares and fountains and exploring the city maze under the tourists photo flash attack. 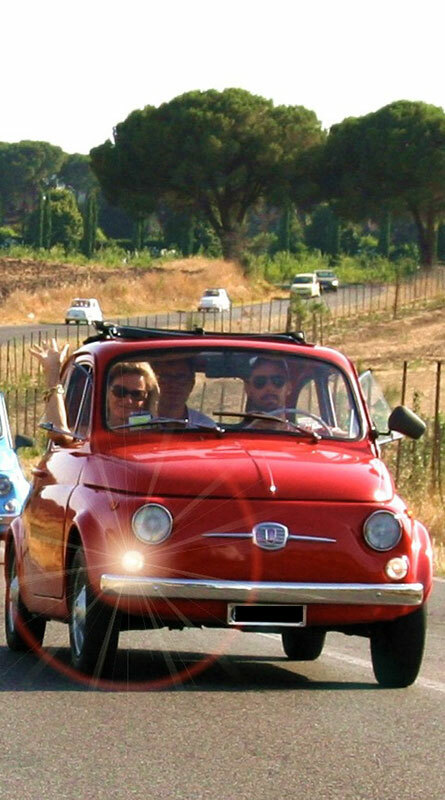 Sunroof opened and wide smile included, ready, steady go!